A unique and versatile machine that can be fitted to and lifted on and off the client’s own existing trailer. Simply hook the wheelie bin on to the lifting mechanism at the rear of the machine, press the one button and the machine is lifted. All of our bin cleaning machines provide owners and operators an economical and professional entry in to the lucrative bin cleaning market. 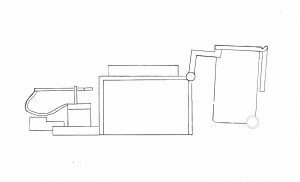 The Bin Wash Skid offers all of the great features of the original machines but is not trailer mounted, so it is ideal if you have your own trailer that you would like to use for the cleaning of wheelie bins. The machine allows you to clean two domestic bins at a time and is made with a heavy duty galvanised trailer or frame. Durable and efficient, the Bin Wash makes easy work of an otherwise difficult job. The trailer systems can also be used as a trailer-mounted pressure washer direct from a mains water supply, for driveway, paving and decking cleaning, providing extra revenue. The trailer-mounted machines are portable so that your vehicle isn’t dedicated to this system and can be used for other duties.